The variety of stand-alone and built-in social media services currently available introduces challenges of definition. Social media, web based applications, and internet has revolutionized communication process. Similarly, learning and teaching process in the field of medicine had transformed slowly and progressively to suit the changes according to the geographical and economic constraints. Electronic media has irrupted physician’s clinical practice. Patients increasingly use Internet and social media to obtain enormous amounts of unsupervised data about cancer. Blogs, social networking sites, online support groups and forums are useful channels for medical education and experience sharing but also perfect environments for misinformation, quackery, violation of privacy and lack of professionalism. The widespread availability of such electronic resources allows some followers of the alternative oncology to spread useless irrational and controversial remedies for cancer, like false medicaments, miraculous diets, electronic devices, and even psychic therapies, as did charlatans in the past, providing false expectations about cancer treatments. Moreover, so-called predatory journals have introduced confusion and malpractice within the academic biomedical publishing system. This is a rising editorial phenomenon affecting all fields of biomedicine, including oncology that jeopardizes the quality of scientific contribution and damages the image of open access publication 1). Brainbook is a multi-platform, social media-based resource that was created specifically to enhance public engagement in neurosurgery. Results from one of its case discussions was reported in collaboration with the NIHR Global Health Research Group on Neurotrauma and presented over 3 days (23-25 February 2018). YouTube videos were created depicting the management of an acute subdural hematoma using patient interviews, medical illustration, consultant-led discussion and operative footage. Content was shared across all Brainbook social media platforms and analytics were gathered through social media applications. Over a 72-hour time period, and across multiple social media accounts, 101,418 impressions were achieved (defined as penetrance onto individual media feeds and total views of the content), with active discussion on social media. Neurosurgical content published across multiple social media outlets represents an encouraging and exciting potential for global engagement across multiple audiences. 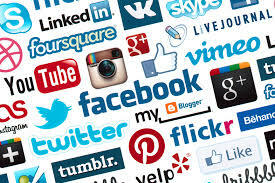 Social media can be an effective method of not only disseminating neurosurgical knowledge, but activating and engaging the public, allied healthcare professionals, medical students and neurosurgeons 2). The purpose of a study was to assess the impact of certain demographics, social media usage, and physician review website variables for spine surgeons across Healthgrades.com (Healthgrades), Vitals.com (Vitals), and Google.com (Google). Through a directory of registered North American Spine Society (NASS) physicians, they identified spine surgeons practicing in Texas (107 neurosurgery trained, 192 orthopedic trained). Three physician rating websites (Healthgrades, Vitals, Google) were accessed to obtain surgeon demographics, training history, practice setting, number of ratings/reviews, and overall score (January 2, 2018-January 16, 2018). Using only the first 10 search results from Google.com, we then identified whether the surgeon had a website presence or an accessible social media account on Facebook, Twitter, and/or Instagram. Physicians with either a personal or institutional website had a higher overall rating on Healthgrades compared to those who did not have a website (p < 0.01). Nearly all spine surgeons had a personal or institutional website (90.3%), and at least 1 accessible social media account was recorded for 43.5% of the spine surgeons in our study cohort (39.5% Facebook, 10.4% Twitter, 2.7% Instagram). Social media presence was not significantly associated with overall ratings across all 3 sites, but it did significantly correlate with more comments on Healthgrades. In multivariable analysis, increasing surgeon age was significantly associated with a lower overall rating across all 3 review sites (p < 0.05). Neurosurgeons had higher overall ratings on Vitals (p = 0.04). Longer wait times were significantly associated with a lower overall rating on Healthgrades (p < 0.0001). Overall ratings from all 3 websites correlated significantly with each other, indicating agreement between physician ratings across different platforms.CONCLUSIONSLonger wait times, increasing physician age, and the absence of a website are indicative of lower online review scores for spine surgeons. Neurosurgery training correlated with a higher overall review score on Vitals. Having an accessible social media account does not appear to influence scores, but it is correlated with increased patient feedback on Healthgrades. Identification of ways to optimize patients’ perception of care are important in the future of performance-based medicine 3). Mata-Gómez et al. made an observational transversal study between February and March 2017, with a systematic search of the Facebook, Twitter and Youtube accounts from public and private neurosurgical units, scientific societies, peer-reviewed publications and patients groups in relation with Neurosurgical pathologies. We rank them according their popularity. Only 5 public neurosurgical services have social media accounts, being their popularity inferior to the private units accounts. In relation with the scientific societies and neurosurgical publications their presence in social media is marginal, even more in comparison to the accounts of other medical specialities. The popularity of associations of patients and supporting groups is high, especially among patients, finding there more information about their disease. The use in Spain of Social Media about Neurosurgery is low in comparison to other medical specialities. There is a huge field to improve the popularity of the accounts, making in them promotion of health and extend the diffusion of the scientific society and the peer-reviewed publication Neurocirugía 4). When you click on the Page you want to analyze, you will be taken to that Page’s insights. Here, you will find an overview of your most important metrics, followed by detailed sections on your Likes, reach, visits, posts, and people. The overview starts with your Page’s main metrics, including the following. Page Likes: Total Pages Likes is number of unique people who like your Page. New Page Likes shows the number of new Likes your Page received during the last seven days, compared with the previous seven-day period. Post Reach: Total Reach is the number of unique people who have seen any content associated with your Page, including ads, during the last seven days. Post Reach shows the number of unique people who have seen your Page posts. Engagement: People Engaged is the number of unique people who have clicked, Liked, commented on or shared your posts during the last seven days. Likes, Comments, Shares and Post Clicks show the totals for these actions during the last week. A study shows different uses of social media platforms and numbers of users of the online neurosurgical community. Content optimization, advanced metrics of user engagement, and their subsequent effects on academic impact remain unanswered queries and require further prospective study 5). A survey has shown that caregivers of children with shunt-treated hydrocephalus frequently use social media networks for support and information gathering. The objective of a study is to describe and assess social media utilization among users interested in hydrocephalus. Publicly accessible accounts and videos dedicated to the topic of hydrocephalus were comprehensively searched across 3 social media platforms (Facebook, Twitter, and YouTube) throughout March 2016. Summary statistics were calculated on standard metrics of social media popularity. A categorization framework to describe the purpose of pages, groups, accounts, channels, and videos was developed following the screening of 100 titles. Categorized data were analyzed using nonparametric tests for statistical significance. RESULTS The authors’ search identified 30 Facebook pages, 213 Facebook groups, 17 Twitter accounts, and 253 YouTube videos. These platforms were run by patients, caregivers, nonprofit foundations, and patient support groups. Most accounts were from the United States (n = 196), followed by the United Kingdom (n = 31), Canada (n = 17), India (n = 15), and Germany (n = 12). The earliest accounts were created in 2007, and a peak of 65 new accounts were created in 2011. The total number of users in Facebook pages exceeded those in Facebook groups (p < 0.001). The majority of users in Facebook groups were in private groups, in contrast to public groups (p < 0.001). The YouTube videos with the highest median number of views were for surgical products and treatment procedures. CONCLUSIONS This study presents novel observations into the characteristics of social media use in the topic of hydrocephalus. Users interested in hydrocephalus seek privacy for support communications and are attracted to treatment procedure and surgical products videos. These findings provide insight into potential avenues of hydrocephalus outreach, support, or advocacy in social media 6). In 2017 three social media platforms (Facebook, Twitter, and YouTube) were assessed for public content pertaining to brain aneurysms in March 2016. We conducted a mixed-method analysis that includes a descriptive examination of cross-sectional data and a qualitative evaluation of online communications for thematic analysis. We assessed categorized data using nonparametric tests for statistical significance. The analyses showed that Facebook was the most highly used social media platform, with 11 relevant pages and 83 groups. Facebook accounts were all nonprofit foundations or patient support groups. Most users in Facebook groups were joining private support groups as opposed to public (P < 0.05). The most frequently viewed category of YouTube videos was on treatment procedures (P < 0.001). Six prominent themes emerged from the coded data of posts and comments: inspiration and motivation (27.7%), providing and sharing information (26.3%), requesting information (14.4%), seeking emotional support (12.1%), admiration (8.3%), and loss and grief (8.3%). This study was the first to provide insight into characteristics and patterns of social media communications regarding brain aneurysms. These findings should serve to inform the treating physicians of the needs and expectations of individuals affected by brain aneurysms 7). Delgado-López PD, Corrales-García EM. Influence of Internet and Social Media in the Promotion of Alternative Oncology, Cancer Quackery, and the Predatory Publishing Phenomenon. Cureus. 2018 May 13;10(5):e2617. doi: 10.7759/cureus.2617. Review. PubMed PMID: 30027009; PubMed Central PMCID: PMC6044480. Alamri A, Rogers P, Kearns C, Doke T, Al-Habib A, Servadei F, Hutchinson PJ, Kolias AG, Uff C. Social media for dissemination and public engagement in neurosurgery-the example of Brainbook. Acta Neurochir (Wien). 2019 Jan;161(1):5-9. doi: 10.1007/s00701-018-3757-8. Epub 2018 Dec 10. PubMed PMID: 30535760. Donnally CJ, McCormick JR, Li DJ, Maguire JA, Barker GP, Rush AJ, Wang MY. How do physician demographics, training, social media usage, online presence, and wait times influence online physician review scores for spine surgeons? J Neurosurg Spine. 2018 Nov 1:1-10. doi: 10.3171/2018.8.SPINE18553. [Epub ahead of print] PubMed PMID: 30497169. Mata-Gómez J, Gilete-Tejero IJ, Rico-Cotelo M, Royano-Sánchez M, Ortega-Martínez M. Current use of Social Media in Neurosurgery in Spain. Neurocirugia (Astur). 2018 May – Jun;29(3):109-115. doi: 10.1016/j.neucir.2018.01.001. Epub 2018 Feb 24. English, Spanish. PubMed PMID: 29486985. Alotaibi NM, Badhiwala JH, Nassiri F, Guha D, Ibrahim GM, Shamji MF, Lozano AM. The Current Use of Social Media in Neurosurgery. World Neurosurg. 2015 Nov 14. pii: S1878-8750(15)01528-4. doi: 10.1016/j.wneu.2015.11.011. [Epub ahead of print] PubMed PMID: 26585734. Elkarim GA, Alotaibi NM, Samuel N, Wang S, Ibrahim GM, Fallah A, Weil AG, Kulkarni AV. Social media networking in pediatric hydrocephalus: a point-prevalence analysis of utilization. J Neurosurg Pediatr. 2017 May 26:1-6. doi: 10.3171/2017.3.PEDS16552. [Epub ahead of print] PubMed PMID: 28548615. Alotaibi NM, Samuel N, Wang J, Ahuja CS, Guha D, Ibrahim GM, Schweizer TA, Saposnik G, Macdonald RL. The Use of Social Media Communications in Brain Aneurysms and Subarachnoid Hemorrhage: A Mixed-Method Analysis. World Neurosurg. 2017 Feb;98:456-462. doi: 10.1016/j.wneu.2016.11.085. Epub 2016 Nov 24. PubMed PMID: 27890750.